The Bismarck Hawk Owl is a small to medium-sized owls with no ear-tufts. 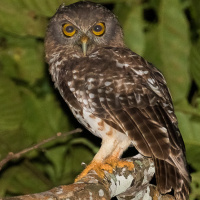 It is also known as the New Ireland Hawk Owl, Bismarck Boobook, or New Ireland Boobook. 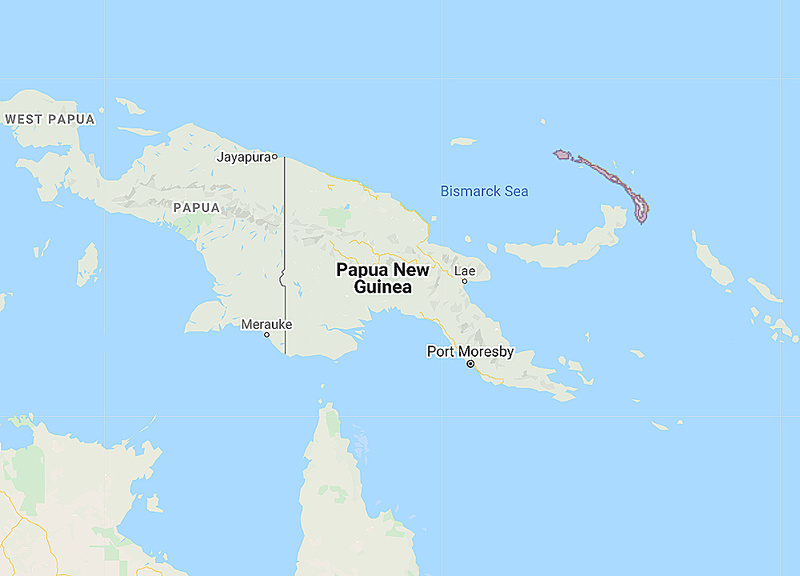 Distribution: Endemic to New Hanover, New Britain, and New Ireland in the Bismarck Archipelago. Status: Widespread and common within its range. Original Description: Quoy, Jean Rene Constant & Gaimard, Joseph Paul. 1830. Voyage de découvertes de l'Astrolabe exécuté par order du Roi, pendant les années 1826-1827-1828-1829, sous le commandement de m.J. Dumont d'Urville. Zoologie. (Paris. 268 p). 1, p. 166-167. Atlas Ois. pl. 1, fig. 2. Page by Deane Lewis. Last updated 2016-11-02.